Comment: Small patio off back deck with possible fire pit. Comment: I wave a a backyard concrete retaining wall made from Pavestone-6-in-x-15-5-in-x-12-in. Its 6 blocks high by 60 blocks long. The problem is over the past 14 years, the wall has been pushed outward. The top stones slope front to back badly. I'm looking to have the wall rebuilt and another 2 rows of blocks added. My time frame is now to May. Comment: Pieces of brick are falling off our chimney and last winter we had a leak along the corner of the chimney. I'm not sure if the leak is brick related or flashing. Marysville Brick & Stone Masonry Contractors are rated 4.83 out of 5 based on 377 reviews of 24 pros. 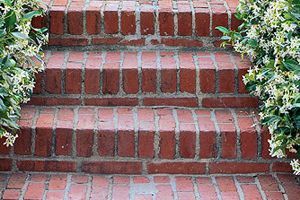 Not Looking for Brick & Stone Contractors in Marysville, WA?